Bodó, Balázs, PhD (1975), economist, piracy researcher at the Institute for Information Law (IViR) at the University of Amsterdam. He was a Fulbright Visiting Researcher at Stanford University’s Center for Internet and Society in 2006/7 and a Fellow at the Center between 2006 and 2012. 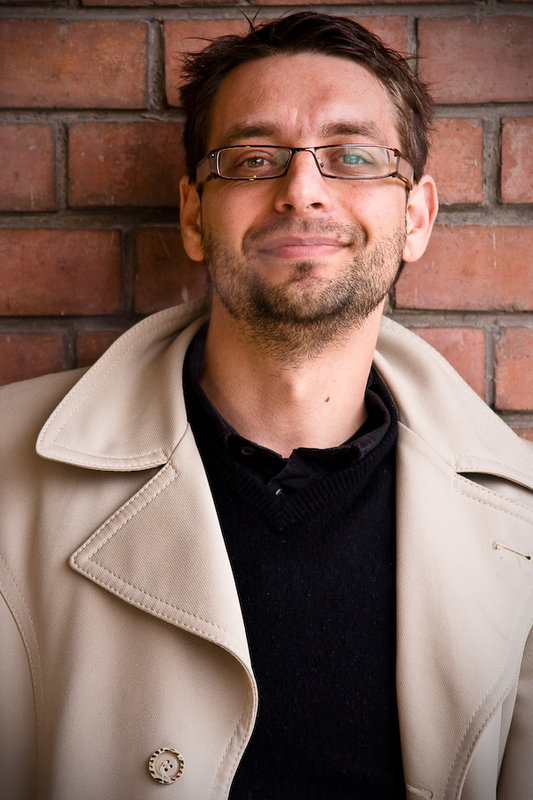 Since 2012 he has been a Fulbright Fellow at the Berkman Center for Internet and Society at Harvard University. Since 2013 he is based in Amsterdam, working as a researcher and a Marie Curie Fellow at the Institute for Information Law (IViR) at the University of Amsterdam. Before moving to the Netherlands, he was deeply involved in the development of the Hungarian internet culture. He was the project lead for Creative Commons Hungary. He is a member of the National Copyright Expert Group. As an assistant professor at the Budapest University of Technology and Economics, he helped to established and led the university’s Masters Program in Cultural Industries. He has advised several public and private institutions on digital archives, content distribution, online communities, business development. His academic interests include copyright and economics, piracy, media regulation, peer-to-peer communities, underground libraries, digital archives, informal media economies. His most recent book is on the role of P2P piracy in the Hungarian cultural ecosystem. Blockchain and smart contracts: the missing link in copyright licensing? This article offers a normative analysis of key blockchain technology concepts from the perspective of copyright law. Some features of blockchain technologies—scarcity, trust, transparency, decentralized public records and smart contracts—seem to make this technology compatible with the fundamentals of copyright. Authors can publish works on blockchain creating a quasi-immutable record of initial ownership, and encode ‘smart’ contracts to license the use of works. Remuneration may happen on online distribution platforms where the smart contracts reside. In theory, such an automated setup allows for the private ordering of copyright. Blockchain technology, like Digital Rights Management 20 years ago, is thus presented as an opportunity to reduce market friction, and increase both licensing efficiency and the autonomy of creators. Yet, some of the old problems remain. The article examines the differences between new, smart-contract-based private ordering regime and the fundamental components of copyright law, such as exceptions and limitations, the doctrine of exhaustion, restrictions on formalities, the public domain and fair remuneration. Chapter in: Shadow Libraries: Access to Knowledge in Global Higher Education / J. Karaganis (ed. ), The MIT Press, Cambridge, United Kingdom, 2018. ISBN: 9780262535014. Political micro-targeting: a Manchurian candidate or just a dark horse? Political micro-targeting (PMT) has become a popular topic both in academia and in the public discussions after the surprise results of the 2016 US presidential election, the UK vote on leaving the European Union, and a number of general elections in Europe in 2017. Yet, we still know little about whether PMT is a tool with such destructive potential that it requires close societal control, or if it’s “just” a new phenomenon with currently unknown capacities, but which can ultimately be incorporated into our political processes. In this article we identify the points where we think we need to further develop our analytical capacities around PMT. We argue that we need to decouple research from the US context, and through more non-US and comparative research we need to develop a better understanding of the macro, meso, and micro level factors that affect the adoption and success of PMTs across different countries. One of the most under-researched macro-level factors is law. We argue that PMT research must develop a better understanding of law, especially in Europe, where the regulatory frameworks around platforms, personal data, political and commercial speech do shape the use and effectiveness of PMT. We point out that the incorporation of such new factors calls for the sophistication of research designs, which currently rely too much on qualitative methods, and use too little of the data that exists on PMT. And finally, we call for distancing PMT research from the hype surrounding the new PMT capabilities, and the moral panics that quickly develop around its uses. This short essay explores how the notion of hacktivism changes due to easily accessible, military grade Privacy Enhancing Technologies (PETs). Privacy Enhancing Technologies, technological tools which provide anonymous communications and protect users from online surveillance enable new forms of online political activism. Through the short summary of the ad-hoc vigilante group Anonymous, this article describes hacktivism 1.0 as electronic civil disobedience conducted by outsiders. Through the analysis of Wikileaks, the anonymous whistleblowing website, it describes how strong PETs enable the development of hacktivism 2.0, where the source of threat is shifted from outsiders to insiders. Insiders have access to documents with which power can be exposed, and who, by using PETs, can anonymously engage in political action. We also describe the emergence of a third generation of hacktivists who use PETs to disengage and create their own autonomous spaces rather than to engage with power through anonymous whistleblowing.